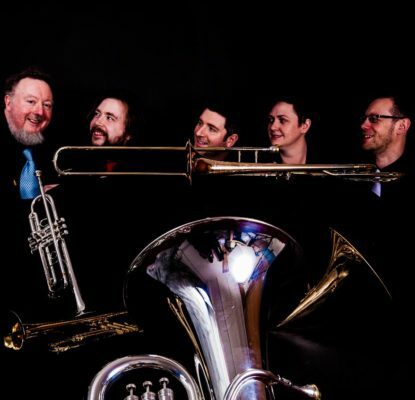 Brass Tracks is one of Scotland’s most exciting and engaging brass quintets. 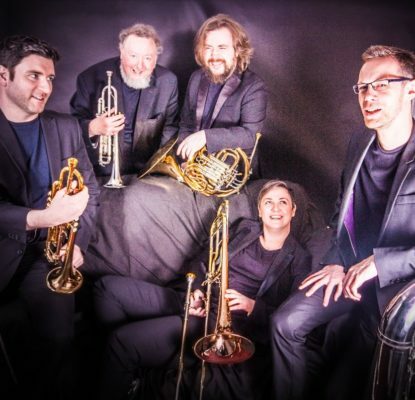 Based in central Scotland, Brass Tracks is dedicated to making all music accessible, whether it be 500 years old or something a little more contemporary. Brass Tracks is committed to inspiring and reaching new audiences no matter how young or old. Brass Tracks was formed in 2013 by Edinburgh trumpet players, Finlay Hetherington and John Sampson. The core members come from varied performing backgrounds including, television, theatre, orchestral, chamber music, education and brass bands. 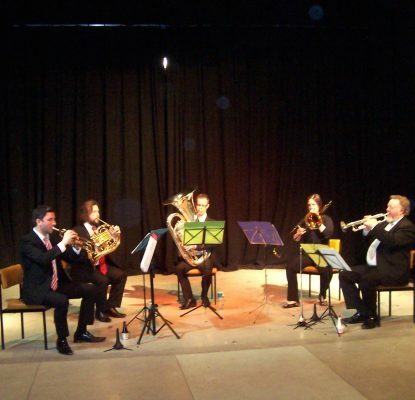 Since Brass Tracks formed it has performed in the usual conventional performing spaces, such as churches, cathedrals, concert halls and theatres. However, Brass Tracks also enjoy playing in various less obvious performance venues and locations. This includes, Virgin Trains’ ‘Live at Central’ concert series at Glasgow’s iconic Central Station, leading the ceremony for Fife Sports Awards, launching Christmas at Gateshead’s Metrocentre, to being on a film set. 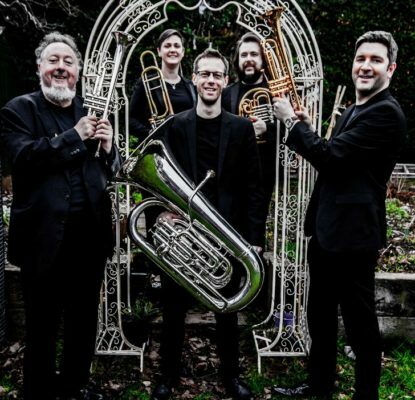 In recent times, Brass Tracks have expanded to become a sextet or as an octet for special concerts, collaborating with a number of established choirs based throughout Scotland. Brass Tracks have also featured in a number of live and studio recordings, from BBC One’s prime-time crime drama, Rillington Place with Hollywood’s Tim Roth and Samantha Morton to an album by the prog rock artist, Fish (the former front man of the British rock band Marillion). Over the last few years Brass Tracks, with support from Enterprise Music Scotland, have performed successful concerts at music societies across Scotland, including; Dunfermline, Newton Stewart, Stranraer, Torphichen, Oban, Lamlash on the Isle of Arran and at the Towermill Theatre, Hawick. Brass Tracks is represented by Classical Musicians Scotland. 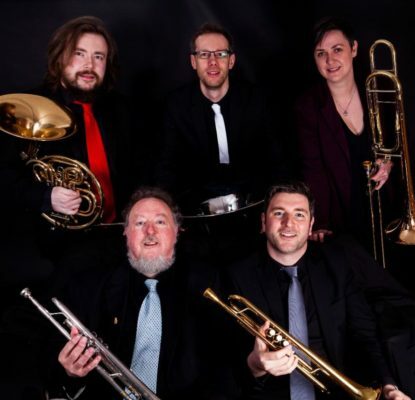 This year Brass Tracks look forward to several exciting projects and performances in venues ancient to modern, including their annual appearance at the Edinburgh Festival Fringe.